Category: Fat Burners Tag: Midwest Logistics Brand: Blackstone Labs. When energy is what you need, why put your trust in a plain, stale cup of black coffee? Energy is serious business. Whether you need the extra boost to conquer a workout, get through the workday, or pull an all-nighter, you should be using trusted and proven ingredients. That’s exactly what you’ll find inside of Cobra 6p Extreme by Blackstone Labs. 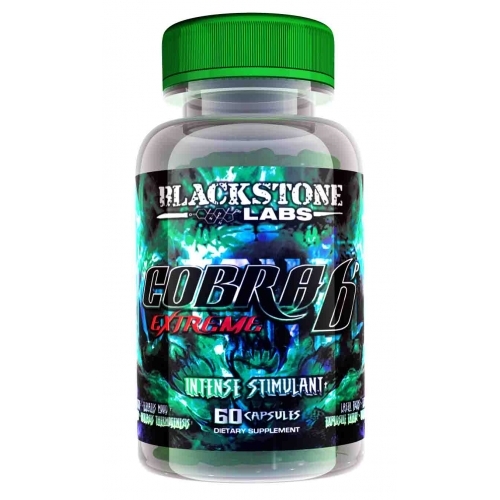 Cobra 6p Extreme by Blackstone Labs deals out a unique blend of thermogenic ingredients along with energy boosters and fat burners. The result is extreme energy and you getting one step closer to your muscle building and fat loss goals. There’s no doubt about it: Once you try Cobra 6p Extreme by Blackstone Labs, you won’t try anything else. This ultra powerful stimulant is going to provide you with the energy you need to crush your day and your workout. WHAT ARE THE BENEFITS OF COBRA 6P EXTREME BY BLACKSTONE LABS? Experience raw energy, burn more fat, and get lean with Cobra 6p Extreme by Blackstone Labs. 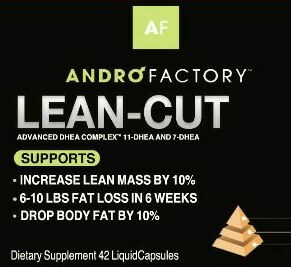 I have been taking this supplement for a month or so now and when I first started to take it, I was using it as a pre-workout due to the intense focus. Now I’m not getting the same focus as I used to get. Would I be able to stack this with another pre-workout? This is not recommended. You are supposed to cycle on and off with pre-workout supplements to avoid building a tolerance to the product. Try cycling off with no pre-workout for 4 weeks then cycling back on the pre-workout. Iwami M, Mahmoud FA, Shiina T, Hirayama H, Shima T, Sugita J, Shimizu Y. Extract of grains of paradise and its active principle 6-paradol trigger thermogenesis of brown adipose tissue in rats. Auton Neurosci. 2011 Apr 26;161(1-2):63-7. doi: 10.1016/j.autneu.2010.11.012. Epub 2010 Dec 23.